Wha-what? 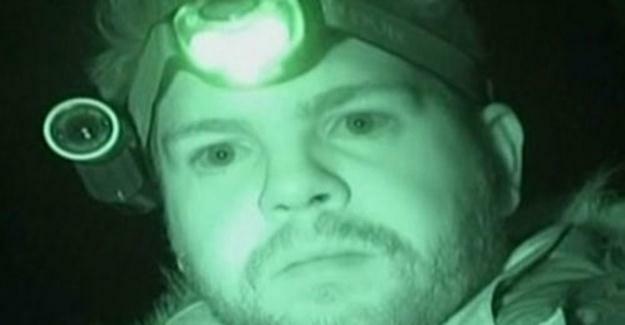 Ozzy Osbourne's son does Bigfoot investigations? 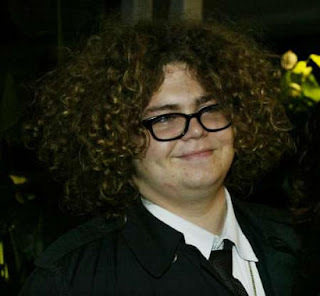 Yes, you may remember young Jack Osborn from the MTV hit The Osbournes. The TV show became water cooler talk because the family was so foul-mouthed the entire show full of censored beeps. Below is a picture of Jack Osbourne as we were introduced to him, apparently simultaneously dressed as all three of the principle characters from Harry Potter. That's quite a spell! 3 Points for Gryffindor! Since then Jack has grown into a young man and, for a while, was hosting a show on SyFy called Haunted Highways, a paranormal investigation reality show. The sow formally called Paranormal Highway has been renamed Haunted Highway. The current season premiered Tuesday July 10th in 2012. "Haunted Highway" continues on Tuesdays at 10 p.m. ET on Syfy. However, the show did leave its mark on Bigfootdom. In the Park Rapids Enterprise, a Minnesota online paper, Sam Benshoof writes of how the SyFy TV fell short. In true cable TV fashion, that episode, which aired for the first time last month and is available online, made viewers believe that the investigators were tantalizingly close to proving the existence of the Hairy Man, a Bigfoot-like legend that has haunted the west central Minnesota woods for the past several decades. In the end, though, the investigators admitted that the evidence they found was mostly inconclusive, and they couldn’t say whether the Hairy Man truly exists. Despite what Quast called an ultimately “contrived” episode, he says it was good for small-town Vergas and the area’s legends to get some national attention. One Sunday in 1976, 8-year-old Mike Quast was out for a Sunday drive with his family near Strawberry Lake, about 20 miles north of Detroit Lakes. There, in the rural, wooded wilderness, Quast saw it – something about 100 yards up the road, 6 to 7 feet tall and solid black. 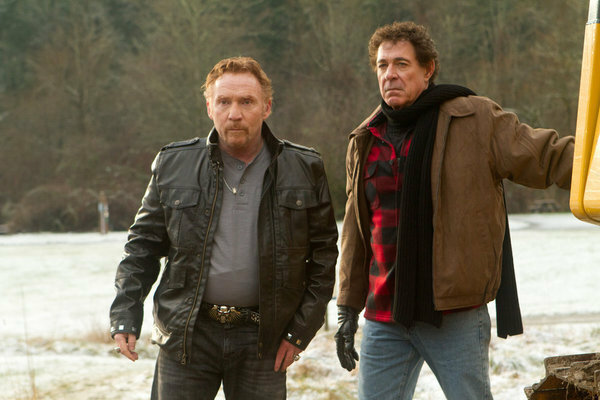 Ever since he watched whatever that was step away, Quast has dedicated much of his life to searching for Bigfoot. Like many in the area, he watched with interest as the producers and investigators of the Syfy network’s “Haunted Highway” show traveled this summer to Vergas to look into the legend of the Hairy Man of the Vergas Trails. When Quast started investigating Bigfoot rumors the year after he graduated from high school in 1986, he started with one of the closest to him – the Hairy Man. In 1989, Quast found several different tracks in the Vergas Trails area, of which he made casts and still keeps in his Moorhead apartment. The difference in sizes, ranging from 12 inches up to 20 in length, made him believe that there was not just one Bigfoot living in the area but potentially a family. However, Quast says reports of sightings have dropped off lately, making him believe that whatever was around in the late ’80s isn’t there anymore. But that doesn’t mean that there’s no dearth of material for him to dig into. Quast, who has written two books about Bigfoot, has been all over Minnesota looking into potential sightings. And he’s come pretty close to seeing one again, he says. One night, while looking into some strange footprints found in a wooded area near Mahnomen, Quast thinks he actually heard one of the creatures. Recently, Quast has been communicating with Bigfoot hunter Don Sherman of Cass Lake, about Bigfoot activity in that area, where a large footprint was found in 2006. Last month, Sherman gave a presentation at the Fargo Public Library, where he discussed the history of Bigfoot with a crowd of families and young children. Sherman, like Quast, says he’s seen a Bigfoot before, and it’s that past experience that drives his current interest in the creature. In the end, though, for searchers like the two men, what’s the ultimate goal in dedicating hours of their lives to searching for something that most people don’t even believe exists? For Sherman, at least, it’s the thrill of the search, and the mystery of the creature that makes it worth his time. “If one were ever found, it’d take the mystery out of it,” he says. Quast, though, sees it differently. That’s easier said than done, Quast believes, because there are so many skeptics when it comes to the subject. The reason is that when reports of Bigfoot first started popping up, it was labeled as something outlandish and unbelievable, Quast says. “Why bother looking for a monster when everyone knows there’s no such thing?” he adds. Quast says definite, material proof of Bigfoot needs to be found to convince the public that it’s real. And that may mean having to produce a body, dead or alive. This fall, Quast plans to write to private landowners in Moose Lake, about 45 miles southwest of Duluth, to get permission to investigate their land where some of the most recent sightings have been reported. More than 35 years after Quast first saw that 7-foot-tall creature walk into the thick woods of Becker County, his search continues. CORRECTION: In an earlier version of this post we had noted Jack Osbourne had been fired and Haunted Highway was canceled. This is incorrect, Jack was fired from the show "Stars and Stripes". 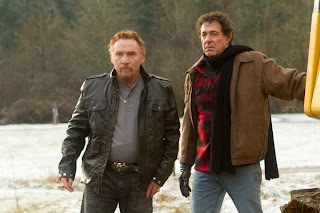 Although there is no news for renewal of "Haunted Highway" it will be going six episodes strong this year. 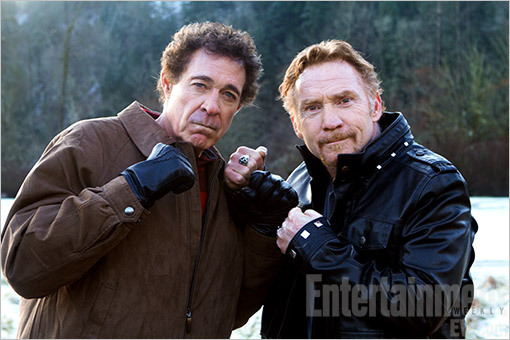 Here is an update to the post about Donny Bonaduce and Barry Williams starring in the SyFy Bigfoot movie. 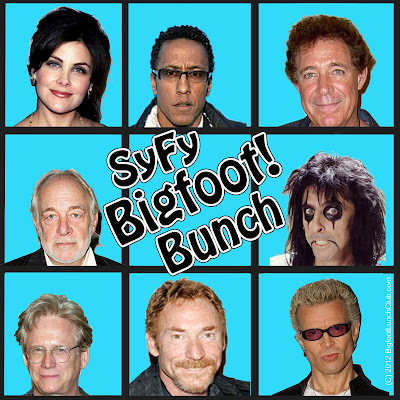 Other familiar faces include Billy Idol, Bruce Davison, from the TV version of Harry and the Hendersons, Howard Hessman, AKA WKRP's Johnny Fever (you younger ones might remember him from "Head of the Class") and Sherilyn Fenn of Twin Peaks. 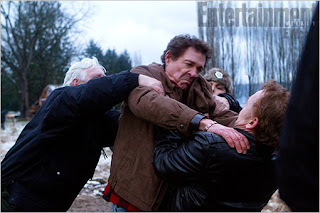 Entertainment weekly has released exclusive photos on the set of the movie below. Folks who always longed for a Brady Bunch meets Partridge Family bloodbath will finally get their wish…with Bigfoot thrown in the mix for good measure! 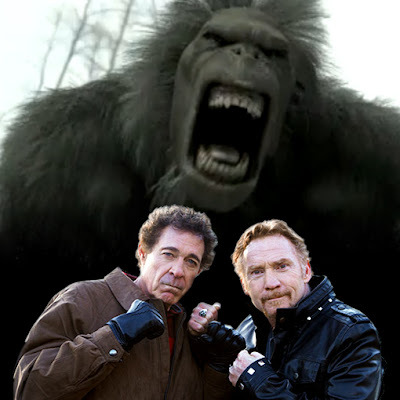 That’s right, the Syfy creature feature Bigfoot — starring Barry Williams and Danny Bonaduce — will be hitting the small screen later this year. The two former child stars play lifelong rivals (naturally) who both are trying to capture the hairy beast, but for very different reasons. However, if you think Greg Brady, Danny Partridge, and a Sasquatch are the only reasons to check out the telepic, then you are sorely mistaken. This cinematic tour de force (to be directed by Bruce Davison) also stars Sherilyn Fenn (Twin Peaks), Howard Hesseman (WKRP in Cincinnati), and shock rocker extraordinaire Alice Cooper (School’s Out). 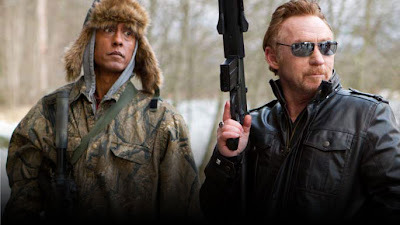 So, it’s basically the BEST CASTING EVER is what we’re saying. And to whet your appetite for this epic feast of absurdity, we’ve got your first look photos right here! 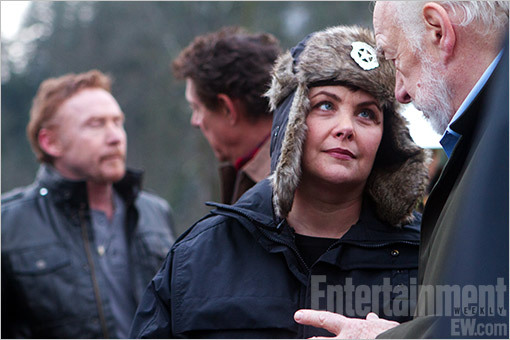 And yes, that is Sherilyn Fenn playing the cop with the furry hat.